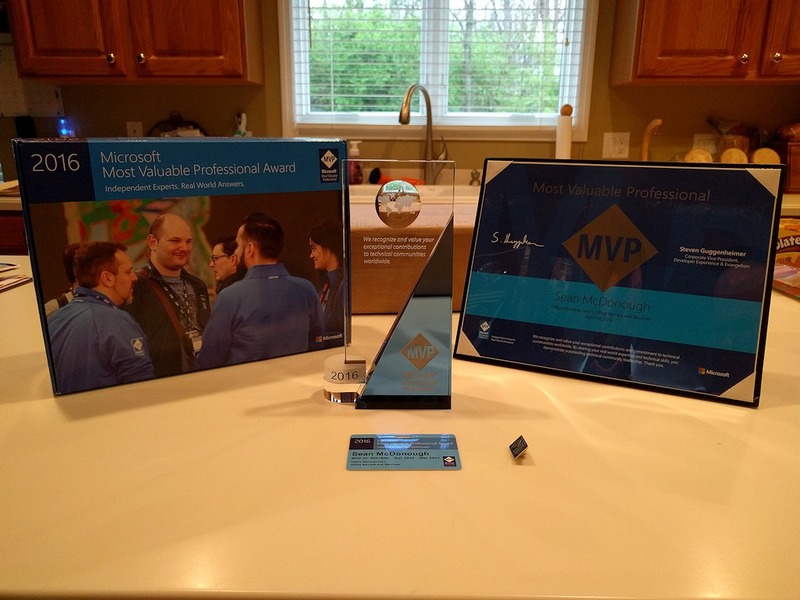 On April 1st, Microsoft presented me with an MVP (most valuable professional) award in the Office Development and the Office Server and Services categories. This post is a thank you to all of you who helped make the last seven years of community engagement such a fantastic and rewarding experience for me. So, my day started with a wary mindset – fearful of what may lay around the next corner. When this arrived in my inbox, that all changed. I’d been nominated for the Microsoft MVP (most valuable professional) award a handful of times over the years, and I had been nominated again as recently as a couple of months back … but the earlier nominations hadn’t actually turned into an award. I had to actually read the first paragraph of the email I’d received a few times before it truly registered that yes, I was being presented with an MVP award. As a rule of thumb, I’m not an overly emotional guy. But I’d be lying if I didn’t say that over the course of the day, I went through a wide range of emotions. Disbelief. Joy. Numbness (okay, that’s not an emotion – but it was a mental state for me). Tremendous gratitude. Humility. I got “teary” at least a few times. Even today, it still doesn’t feel “real” – even though I know it is. 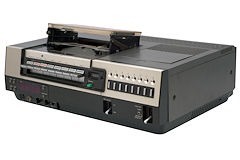 Receiving an MVP award from Microsoft for Office Development and Office Servers and Services (two different categories – I’m kind of a switch-hitter) sent me thinking back to the beginning. 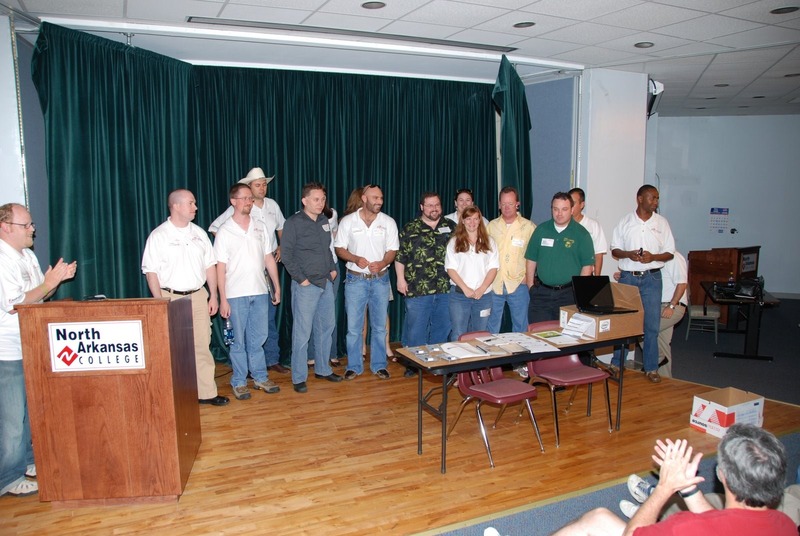 My “community journey” started seven years ago in 2009 with a presentation at Mark Rackley’s first SharePoint Saturday Ozarks in Harrison, Arkansas. John Ferringer (my good friend and disaster recovery partner-in-crime) and I presented “Saving SharePoint” to a small room full of people. It was a presentation based on elements from our SharePoint 2007 Disaster Recovery Guide book, and I was scared to death. I had no experience with public speaking, but John and I had worked out a system to ensure that we’d present effectively together. And it all worked out okay. And best of all, it was fun. I felt like I was onto something, and I wanted to continue running with it. 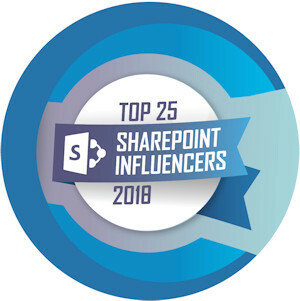 I met some of the SharePoint “legends” at that SPS event (hey, they were – and still are – legends to me): Eric Shupps, Mike Watson, Laura Rogers, Lori Gowin, Corey Roth, Cathy Dew, and plenty of others. Some of them had already established a place for themselves in the community; others were like me and just beginning their journey. The whole SharePoint Saturday thing was still ramping-up, and we were all excited to be a part of it. If you look at the Presentations and Materials section of my blog, you can see most of the stops I made between Harrison, Arkansas (in 2009) and today. There are quite a few. And I have a ton of fantastic memories from the various events and get-togethers that have taken place over the last seven years. The reality, for me, is that the extended SharePoint Community (each of you reading this) is my “social network.” I consider many of you to be my good friends, and many more of you are familiar faces at events, conferences, and get-togethers. I love to spend time with you, hang out, and talk shop wherever I may go and wherever we may all meet up. My SharePoint community “work” has definitely been a labor of love, and I don’t see that changing anytime soon. So, from the bottom of my heart: thank you for all the great memories, engagement, and interactions over the years. I wouldn’t have this MVP award were it not for you folks. And, of course, my thanks to Microsoft and the numerous people who helped turn this into a reality for me. It feels great, and I look forward to many more years of great community fun and engagement! Author Sean McDonoughPosted on March 6, 2016 Categories News, SharePoint 2013, SharePoint OnlineTags Community, Search, SP2013, Speaking, ViedosLeave a comment on SPTechCon Austin 2016 – The Videos! I just got back from SPTechCon Austin 2016, and I had some “trouble” (putting it mildly) with demos I gave during one of my sessions. This post is a note – and a promise – to those who attended my Content Search Web Part (CSWP) session during the conference. I used to write posts to sum-up the various conferences at which I’ve spoken. That was feasible when I was only speaking at a conference or event here or there, but writing about every event is somewhat time-consuming nowadays. And besides, most of the posts would look about the same: “great event,” “lots of fun,” “awesome attendees,” etc. Well, I got back from SPTechCon Austin 2016 yesterday … and I felt compelled to write something today. Yes, it was a great conference, lots of fun, and filled with awesome attendees. But there was something more to this conference that motivated me – no, compelled me – to write this post. That “thing” that compelled me was this: death by demo. I delivered two sessions during the event: a new one on performance troubleshooting with SharePoint Online, and one of my “standards” that is an introduction to the Content Search Web Part (CSWP). I delivered the troubleshooting session on Tuesday, and although it went long (I still need to tune it up), it went pretty well – no real issues. I can’t claim the same about the CSWP session yesterday (Wednesday) morning. Simply put, the demos for my CSWP session were a disaster. I’d gotten everything ready to go on the Tuesday night before the session; despite that, things went off-the-rails almost immediately. I was RDP’ing back to my home desktop system where I had VMware Workstation running, and all of that (i.e., the RDP and VWware Workstation parts) seemed fine. The fashion in which things blew up was not something I’d ever seen before. What went wrong? Well, it’s hard to describe. The best way to describe it is that left-clicking didn’t work properly in the development VM I was using. Sometimes my clicks would visibly register (e.g., on a window close button) – but nothing would happen. Other times, my left-clicks seemed to register somewhere else on the screen (other than where the mouse pointer was located). And at other times still, a left-click would highlight some weird section in the web browser window. Because of this aberrant mouse behavior, I couldn’t show the demo material. I certainly tried enough times, and I even hobbled through one demo with the audience members helping me by shouting out keyboard shortcuts when I asked … but it was a total wreck. If you were in attendance for this session (and there were quite a few folks, as shown in the picture on the right – taken a handful of minutes before I started), I truly apologize. An apology alone, though, isn’t enough (in my opinion). As the demos were slamming into walls and catching on fire, I commented a couple of times that I’d find some way to share the demo materials with the audience at a later time. I was initially thinking I’d try to do a webcast – kind of a do-over – but I thought about it some more on the plane ride home last night and decided on something else. Here’s what I’m going to do: rather than do the whole session over again, I’m going to work through each of the demos I intended to show and record those as a Camtasia/video that can be viewed whenever someone has the time to do so. Doing this sort of video cuts straight to the chase and is ultimately more flexible than trying to round everyone up for a webcast. It can also be re-watched as desired. “When is this video going to be ready,” you might ask? I need to do some catching-up after having been out of town for a while, but I’m hoping to find the time this coming weekend to put it together. If I can do that, then the video will be available sometime early next week. Once everything is ready to go, I’ll put together another blog post to announce the availability and provide a link. I’ve also been in contact with David Rubinstein at BZ Media about this, and he said that he’d blast the information out to attendees and newsletter subscribers, as well. So, once again: my sincere apologies to those who attended my CSWP session at SPTechCon. It’ll be a few days after the actual session, but hopefully the video will make up for the demos that went nowhere during the session. My SharePoint community activities are off to a roaring start in 2012. In this post, I’ll be recapping a couple of events from the end of 2011, as well as covering new activities taking place during the first couple of months of 2012. 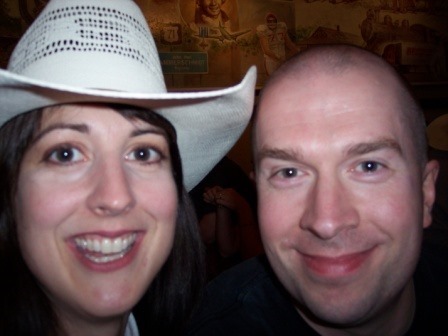 I don’t know how 2011 ended for most of you, but the year closed without much of a bang for me. I’m not complaining about that; the general slow-down gave me an opportunity to get caught up on a few things, and it was nice to spend some quality time with my friends and family. Here’s a recap of some stuff from the tail end of 2011, as well as what I’ve got going on for the first couple of months in 2012. After February, things actually get even crazier … but I’ll save events beyond February for a later post. During the latter part of 2011, I had a conversation with Michael Hiles and Jon Breyfogle of DSC Consulting, a technical consulting and media services company based here in Cincinnati, Ohio. Michael and Jon had an idea: they wanted to develop a high-quality, high-production-value television program that centered on SharePoint and the larger SharePoint ecosystem/community. The initial idea was that the show would feature an interview segment, coverage of community events, SharePoint news, and some other stuff thrown in. It was all very preliminary stuff when they initially shared the idea with me, but I told them that I thought they might be on to something. The idea of a professional show that centered on SharePoint wasn’t something that was being done, and I was really curious to see how they would do it if they elected to move forward. Just before Christmas, Jon contacted me to let me know that they were indeed moving forward with the idea … and he asked if I’d be the show’s first SharePoint guest. I told him I’d love to help out, and so the bulk of the pilot episode was shot at the Village Tavern in Montgomery one afternoon with host Mark Tiderman and co-host Craig Pereira. Mark and I shot some pool, discussed disaster recovery, and just talked SharePoint for a fair bit. It was really a lot of fun. The pilot isn’t yet available (publicly), but a teaser for the show is available on the SPTV web site. All in all, I think the DSC folks have done a tremendous job creating a quality, professional program. Check out the SPTV site for a taste of what’s to come! Around the time of the SPTV shooting, the planning committee for SharePoint Saturday Columbus (Brian Jackett, Jennifer Mason, Nicola Young, and I) had a checkpoint conversation to figure out what, if anything, we were going to do about SharePoint Saturday Columbus in 2012. Were we going to try to do it again? If so, were we going to change anything? What was our plan? Everything with SPSColumbus in 2012 is still very preliminary, of course, but I can tell you that we are looking forward to having the event once again! We expect that we’ll attempt to hold the event during roughly the same part of the year as we’ve had it in the past (i.e., late summer). As we start to nail things down and come up with concrete plans, I’ll share those. Until then, keep your eyes on the SharePoint Saturday site and the SPSColumbus account on Twitter! Those of us who reside in and around Cincinnati, Ohio, are very fortunate when it comes to SharePoint events and opportunities. 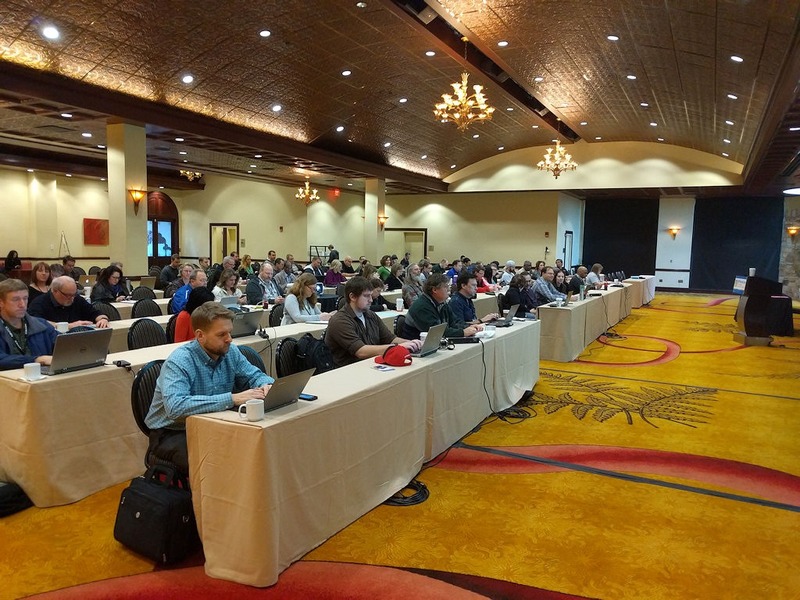 In the past we’ve had SharePoint Saturday Indianapolis just to the west of us, SharePoint Saturday Columbus to the northeast, and last year we had our first ever SharePoint Saturday Cincinnati (which was a huge success!) On top of that, last year was the first ever SharePointCincy event. 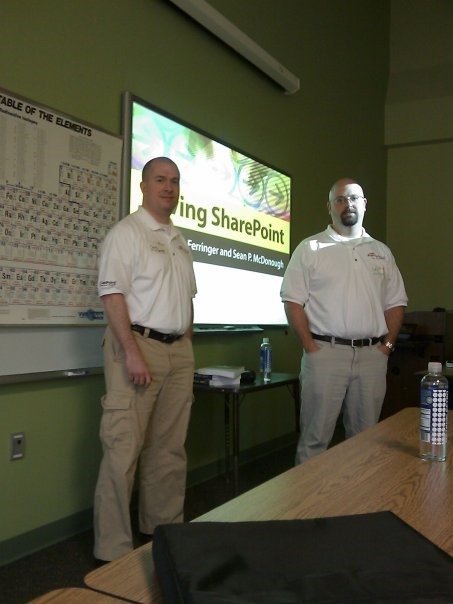 SharePointCincy was similar in some ways to a SharePoint Saturday, but it was different in others. It was a day full of SharePoint sessions, but we also had Fred Studer (the General Manager for the Information Worker product group at Microsoft) come out an speak. Kroger, a local company whose SharePoint implementation I’m very familiar with, also shared their experience with SharePoint. Rather than go into too much detail, though, I encourage you to check out the SharePointCincy site yourself to see what it was all about. 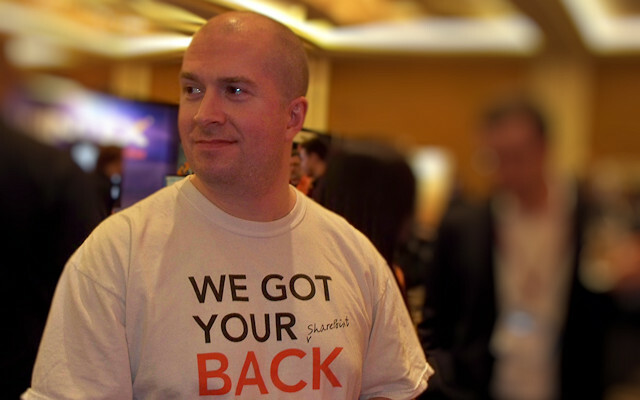 Of course, the whole reason I’m mentioning SharePointCincy is that it’s coming again in March of this year! Last year’s success (the event was attended by hundreds) pretty much guaranteed that the event would happen again. I’m part of a planning team that includes Geoff Smith, Steve Caravajal of Microsoft, Mike Smith from MAX Technical Training, and the infamous Shane Young of SharePoint911 (which, in case you didn’t know it, is based here in Cincinnati). Four of the five of us met last Friday for a kick-off meeting and to discuss how the event might go this year. It was a good breakfast and a productive meeting. I don’t have much more to share at this point (other than the fact that, “yes, it’s happening”), but I will share information as it becomes available. Stay tuned! It’s been a few months since my last webcast on SharePoint caching, so my co-workers at Idera approached me about doing another webcast. I guess I was due. In this business and process-centric session, we will be taking a look at the topic of SharePoint disaster recovery from multiple perspectives: business continuity planner, technical architect, platform owner, and others. Critical concepts and terms will be explained and defined, and an effective process for analyzing and formulating a disaster recovery plan will be discussed. We’ll also highlight some common mistakes that take place when working to build a disaster recovery strategy and how you can avoid them. By the end of this session, you will be armed with the knowledge needed to plan or review a disaster recovery strategy for your SharePoint environment. For those of you who have heard me speak and/or attended my webcasts in the past, you’ll probably find this session to be a bit different than ones you’ve seen or heard. The main reason I say that is because the content is primarily business-centric rather than nuts-and-bolts admin content. That doesn’t mean that SharePoint administrators shouldn’t attend, though; on the contrary, the webcast includes a number of very important messages for admins (e.g., why DR must be driven from the business angle rather than the technical/admin angle) that could really help them in their jobs. The session expands the scope of the DR discussion, though, to include the business aspects that are so tremendously important during the DR planning process. If what I’ve shared sounds interesting, please sign-up! The webcast is free, and I’ll be doing Q&A after the session. This upcoming weekend, I’ll be heading down to Austin, Texas, for the first SharePoint Saturday Austin event! The event is taking place on January 21st, and it is being coordinated by Jim Bob Howard (of Juniper Strategy) and Matthew Lathrop (of Rackspace). Boy oh boy – do they have an amazing line-up of speakers and contributors. It’s quite impressive; check out the site to see what I mean. The guys are giving me the opportunity to present “The Essentials of SharePoint Disaster Recovery” session, and I’m looking forward to it. I’m also looking forward to catching up with many of my friends … and some of my Idera co-workers (who will be coming in from Houston, Texas). If you’re in the Austin area and looking for something to do this upcoming Saturday, come to the event. It’s free, and it’s a great chance to take in some phenomenal sessions, win some prizes, and be a part of the larger SharePoint community! SharePoint ships with a number of tools and capabilities that are geared toward protecting content and configuration. These tools provide basic coverage for your SharePoint environment and the content it contains, but they can quickly become cumbersome in real world scenarios. In this session, we will look at SharePoint’s backup and restore capabilities, discuss how they work, and identify where they fall short in common usage scenarios. We will also highlight how Idera’s SharePoint backup solution picks up where the SharePoint platform tools leave off in order to provide complete protection that is cost-effective and easy to use. The “demo booth” concept is something new for me; it’s part “platform education” (which is where I normally spend the majority of my time and energy) and part “product education” – in this case, education about Idera’s SharePoint backup product. Being both the product manager for Idera SharePoint backup and a co-author for the SharePoint 2010 Disaster Recovery Guide leaves me in something of a unique position to talk about SharePoint’s built-in backup/restore capabilities, where gaps exist, and how Idera SharePoint backup can pick up where the SharePoint platform tools leave off. If you’re interested in learning more about Idera’s SharePoint backup product and/or how far you can reasonably push SharePoint’s built-in capabilities, check out the demo booth. February comes to close with a big bang when SPTechCon rolls into San Francisco for the first of two stops in 2012. For those of you who check my blog now and again, you may have noticed the SPTechCon “I’ll be speaking at” badge and link on the right-hand side of the page. Yes, that means I’ll be delivering a session at the event! The BZ Media folks always put on a great show, and I’m certainly proud to be a part of SPTechCon and presenting again this time around. At this point, I know that I’ll be presenting “The Essentials of SharePoint Disaster Recovery.” I think I’m also going to be doing another lightning talk; I need to check up on that, though, to confirm it. I also found out that John Ferringer (my co-author and partner-in-crime) and I are also going to have the opportunity to do an SPTechCon-sponsored book signing (for our SharePoint 2010 Disaster Recovery Guide) on the morning of Wednesday the 29th. If you’re at SPTechCon, please swing by to say hello – either at my session, at the Idera booth, the book signing, or wherever you see me!